The four rings in the Audi emblem represent the four founding manufacturers: Horch, Audi, Wanderer and DKW. August Horch opened up shop to build automobiles in 1902 but he was forced out of his own company four years later. He moved down the street and started building cars there, once again under his own name. 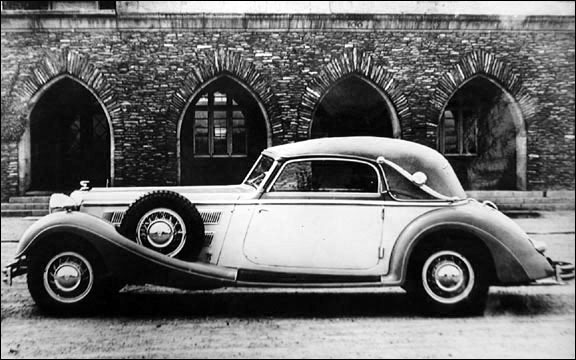 The already existing Horch company sued but the courts ruled in favour of the first manufacturer. Horch (which means listen in German) then played with languages a little and rechristened his cars as Audi (listen in Latin). The first Audi appeared in 1910. Germany’s Auto Union came into being in 1932 when the Horch, Audi, DKW and Wanderer brands were brought together under one corporate umbrella. It was a smart move as the four companies did not compete in each other’s markets and all were located in Upper Saxony. Besides, they were all in trouble and might be forced to close their doors. Germany already had six million workers walking the unemployment lines and that was not good for the economy. The idea to amalgamate the four automakers came from the officials at the Saxon State Bank. The four interlocking rings that are the company’s trademark represent that auspicious marriage. DKW was the entry-level car, followed by Wanderer. Further up the scale was the Audi and at the top of the ladder was the prestigious, luxurious Horch. 1932 Horch 850 Coupe with coachwork by Sachsenring. By 1934 the company was in the black, mostly as a result of a shared component programme. The inexpensive little DKW, with its front-wheel drive was especially popular with the public. Sales simply exploded for the small car, Depression or not. At the end of World War Two, Audi lay in the Soviet-occupied zone. What was left of the factories was stripped to the walls and the machinery shipped to the Soviet Union. Audi’s executives, for the most part, had escaped to the western part of Germany where the Allied Forces were in charge. The automaker began again in 1949 in the new West Germany. Daimler-Benz bought 88 percent of the company in 1958. Volkswagen doubled Auto Union’s capital in 1964, this making it majority owner of the company. Wolfsburg bought the balance of the firm from Daimler-Benz in 1966. 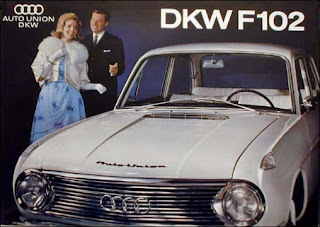 The Audi name was revived in 1965 for a model designed by Mercedes and the DKW nameplate was retired at the end of 1966. NSU was added to the company fold in 1968. 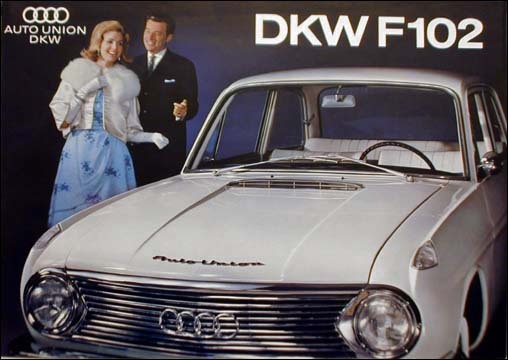 1966 was the last year for the DKW nameplate. 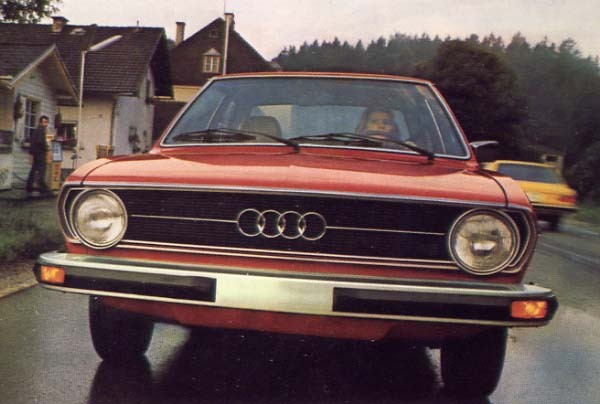 The first Audi cars to hit Canada's shores arrived officially as 1973 models. The cars were technologically advanced and backed by Volkswagen’s extensive network. Records show 376 Audis were sold in Canada in calendar year 1972. With the help of the new Fox, sales shot up ten times to an impressive 3,428 units during calendar 1973. Sales dropped to 2,146 in 1974. As the Deutsch Mark rose against the Canadian dollar sales declined again to 1,823 units in 1975 and rose ever so slightly to 1,852 units delivered in 1976. The 1976 Audi Fox four-door sedan was powered by a 1600cc engine. Designed internally by the staff at Ingolstadt, Audi’s headquarters, Fox was simple and elegant. Its one-piece Unibody rode on a 97.2-inch wheelbase and was a trim 172.8 inches in length. It bristled with the latest in technology: front-wheel drive, front disc brakes, rack-and-pinion steering, independent front suspension and a unique torsion crank rear axle. A negative steering roll radius maintained directional stability when the brakes were applied on surfaces with uneven traction. This was terrific in gravel roads or icy roads and kicked in if a front tire had a blowout. Initially offered as a two- and four-door sedan, a station wagon joined the Fox family in 1975. Audi graced the Fox with many thoughtful touches, making it a true value-added deal, much like the 1950 NashRambler. Fox boasted well cushioned and body contoured velour seats that reclined. The flow-through fresh-air ventilating and heating system changed the entire cabin’s air every few minutes. A rear window defogger was standard equipment as was a padded dash. Options included leatherette upholstery, a sliding steel sunroof, the automatic transmission, air conditioner and an AM-FM radio. The 1976 Audi Fox wagon boasted 51.6 cubic feet of space with the back seat folded down. The Fox family poses for this 1976 Audi photo. The rising Deutsche Mark caused Canadian sales to dwindle appreciably in mid-decade. Gasoline prices were of prime concern to car owners in 1976. Audi was quick to let the public know that the Fox was capable of getting 28.8 miles to the Imperial gallon around town and 44.4 miles to the Imperial gallon on the open highway. 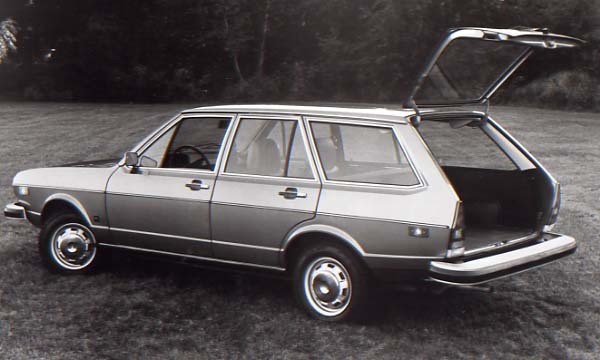 Fox was retired at the end of a successful six-year run but the name was highly respected and later brought back for an inexpensive Volkswagen line imported from Brazil.